Big and slick wins for France and England. Not even a goal for Portugal. Even with Cristiano Ronaldo returning to the Portugal side for the first time since last year’s World Cup, the European champions could only begin their title defense with a 0-0 home draw against Ukraine. The goals were flowing elsewhere on Friday night in Euro 2020 qualifying. 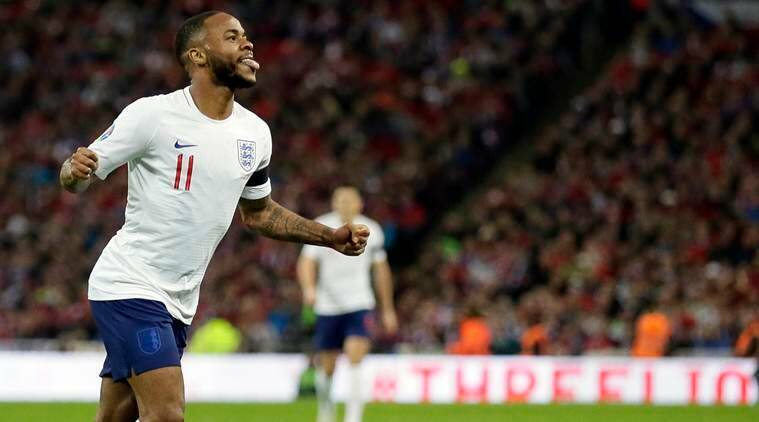 World champion France opened with a 4-1 victory at Moldova while Raheem Sterling scored his first international hat trick as England routed the Czech Republic 5-0. The only surprise in Chisinau was that it took France 23 minutes to score. It was worth the wait. Paul Pogba collected Antoine Griezmann’s pass and floated the ball over the defense for the Atletico Madrid striker to run onto and connect with a left-foot volley. 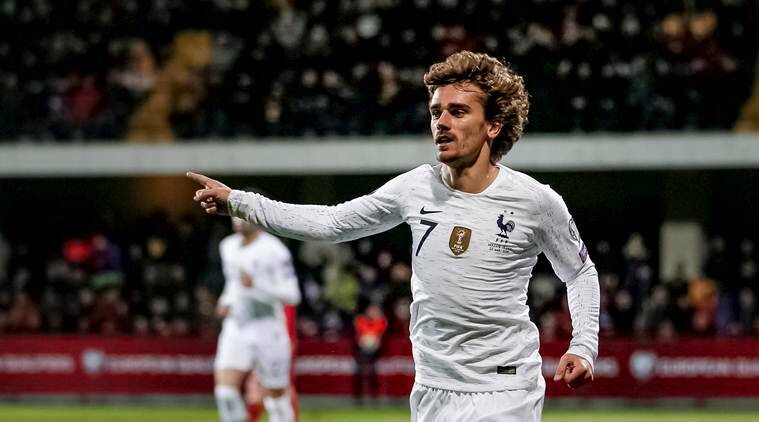 Griezmann was the supplier of the second goal three minutes later, whipping in a corner that Raphael Varane met at the near post with a flicked header. For the third, Pogba combined with Blaise Matuidi, who dinked in a cross which Giroud touched home with his left foot. With a 34th international goal, Giroud equaled third place on the France scoring chart with David Trezeguet. Michel Platini’s 41 is the next target, and Thierry Henry holds the France record with 51 goals. “I’m not used to placing my personal objectives ahead of those of the team, but it’s a nice thing to now be level with Trezeguet,” Giroud said. “He was a great goal-scorer. I hope to climb even further in the all-time list and we’ll have to wait and see.” It took until the 87th minute for Kylian Mbappe to break Moldova’s second-half resistance, slotting home from 12 yards (11 meters). In the first pan-continental European Championship, 12 stadiums in 12 European countries will stage the finals. Wembley has the biggest role, with seven games, including the semifinals and final. England like all the hosts this time must go through qualifying to make the 24-team tournament. When Sterling was bundled over by defenders Pavel Kaderabek and Tomas Kalas in first-half stoppage time, a penalty was awarded that Kane converted. Sterling’s second on the turn came in the 62nd minute after he connected with a through ball from Manchester City teammate Kyle Walker that bounced into his path. And six minutes later, Sterling made it 24 goals in 44 appearances this season for club and country when a curling strike deflected off Ondrej Celustka into the net. Ukraine stopped Portugal from scoring for the first time in 19 home games on a frustrating night for Ronaldo. The five-time world player of the year was playing for his country for the first time since joining Juventus after the World Cup, where Portugal was eliminated in the round of 16. Portugal, which won Euro 2016 by beating France, is in second place. Luxembourg is leading the way in Group B after beating Lithuania 2-1. Regardless of what happens in the group, Portugal has a backup route to defend its title at Euro 2020. Portugal has qualified for the semifinals of the inaugural Nations League, along with Switzerland, the Netherlands and England, and will host the finals in June. Those four teams also know they will have a spot in the Euro 2020 playoffs next March if they fail to qualify automatically by finishing in the top two places in their groups.